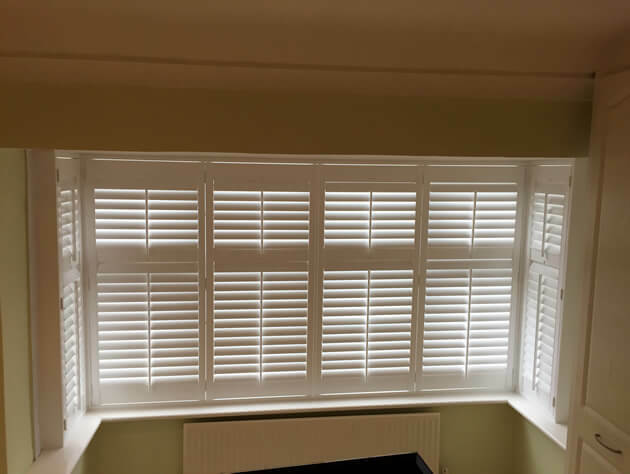 Ben and Kirk were recently in Petts Wood, Bromley to fit some of our bespoke shutters to some Windows and Door area of the property. The client was looking for the ultimate light control as well as privacy and security to the back doors and windows. 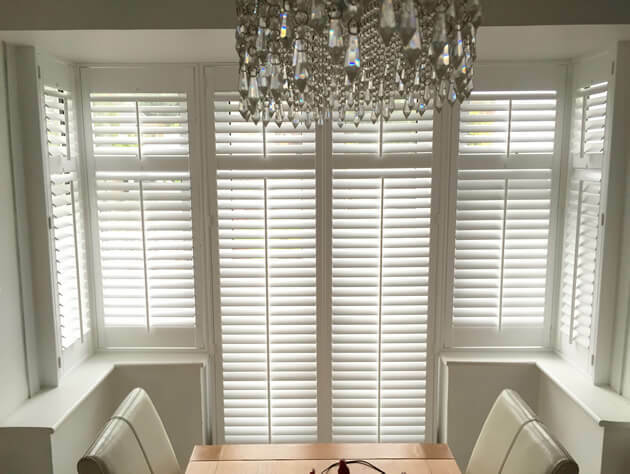 Our shutters are the perfect solution for windows and doors where the design and styling can be flawlessly matched to cover all areas. 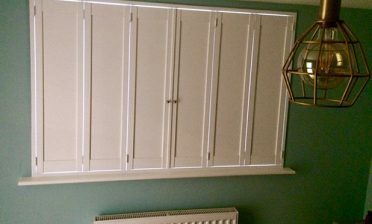 As you can see in the pictures, the shutters are combined on both windows and door seamlessly providing adjustment of light and privacy throughout the rooms, with the door shutters able to fully open and reveal the door behind for access to the patio and garden. 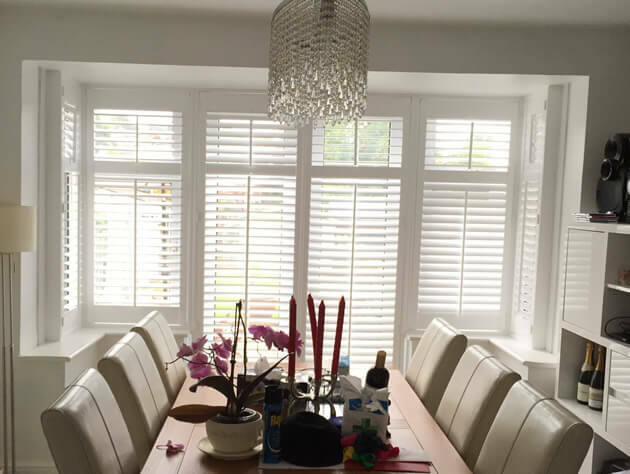 The shutters are full height design with a mid-rail which not only allows for adjustment at the tops and bottoms of the shutter panels but also matches the lining of the double glazing windows behind. 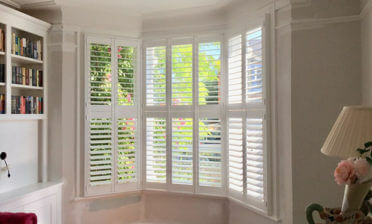 The shutters feature a 4 Sided insert L frame, 64 mm louvres with centralised tilt rods for ease of adjustment. 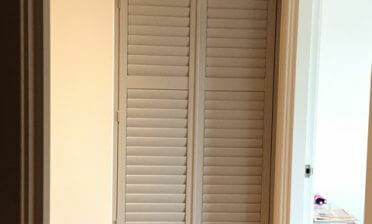 They were painted in Pure White with matching hinges which works perfectly with the door, windows and surrounding decor. The colour and style creates a clean, crisp look throughout the room combined with a millimetre perfect fitment which cannot be matched with other window dressings.